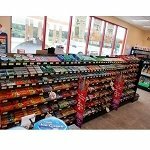 Most all retail locations offer up creamy chocolates and other sugary treats as an essential morsel for customers to enjoy. 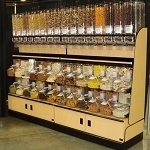 Exhibit all those delicious items on a wide variety of displays from small counter top candy racks to large shelf displays. 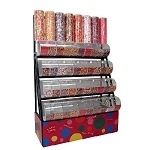 Candy Display Rack With Bins / Scoop Assemblies - 72"
Candy Display Rack With Divided Bins -72"
Candy Rack With Divided Bins - Decorative Towers - 72"
Candy Rack With Divided And Gravity Bins - 72"
Candy Display Rack With Divided Bins - 58"
All Store Displays has candy racks galore to meet your display needs ranging from large bulk candy displays to rotating counter top racks. 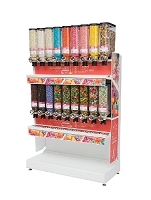 Your store's ambiance should highlight your selections on a candy store fixture and cater to everything your customers could want. 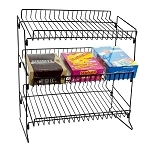 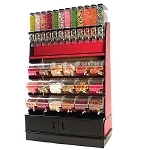 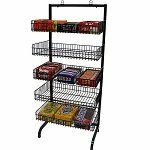 Convenience stores, electronics stores, and shops with a modern decor will do well to add a wire or wood candy rack system. 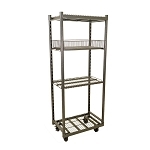 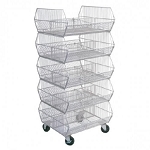 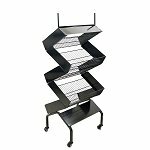 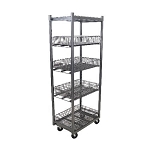 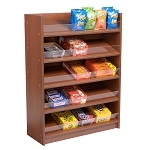 Many of these have adjustable shelves, rotate, or have casters for added convenience. 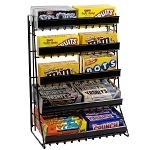 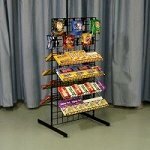 Candy display racks and fixtures are popular and fun for patrons, whether they are filled with nostalgic candy or the new slimy sour squirting candies in today's market. 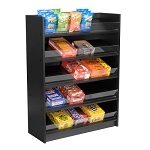 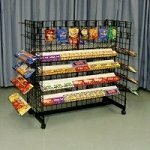 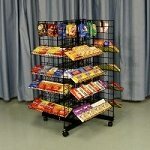 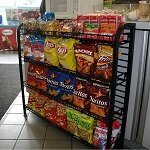 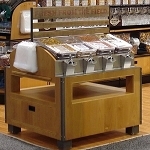 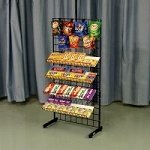 No matter what type of store or shop you have, adding retail snack racks are always a smart move in increasing impulse buying, growing your customer base and maintaining your dedicated shoppers. 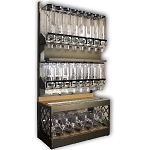 All Store Displays has the right store fixture to blend in with your store. 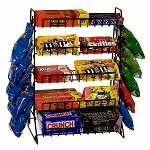 Come and check it out today!